YIMBY reported on the first permits for a new 25-story development at 50 West 66th Street back in 2015. But since then, the site has seen a dramatic expansion. The Real Deal reports that the developer, Extell, has now acquired approximately 201,000 square feet of additional air rights for $202 million, and renderings have been released of the revised plans for the tower, by Snohetta, which indicate it will one-up 200 Amsterdam Avenue to become the tallest tower on the Upper West Side. The skyscraper will stand 775 feet to its rooftop, just over 100 feet above its rival, which will rise a few blocks to the northwest. 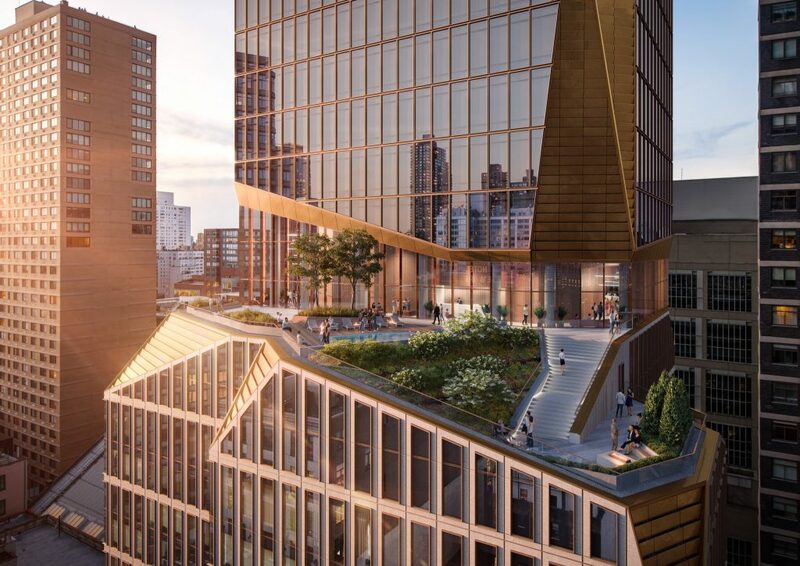 The pair of towers will make a fairly dramatic impact on the overall skyline, adding parapets to Lincoln Square that will further its continued transformation into one of the densest parts of Manhattan. At street level, the building’s podium is sheathed in hand-set and textured limestone with bronze and glass storefronts, complementing the warm material palette of its surrounding neighbors. The north side residential entrance is clad in burnished bronze and limestone that presents a welcoming face to the street, and a similar treatment identifies the entrance to a synagogue at 65th street. 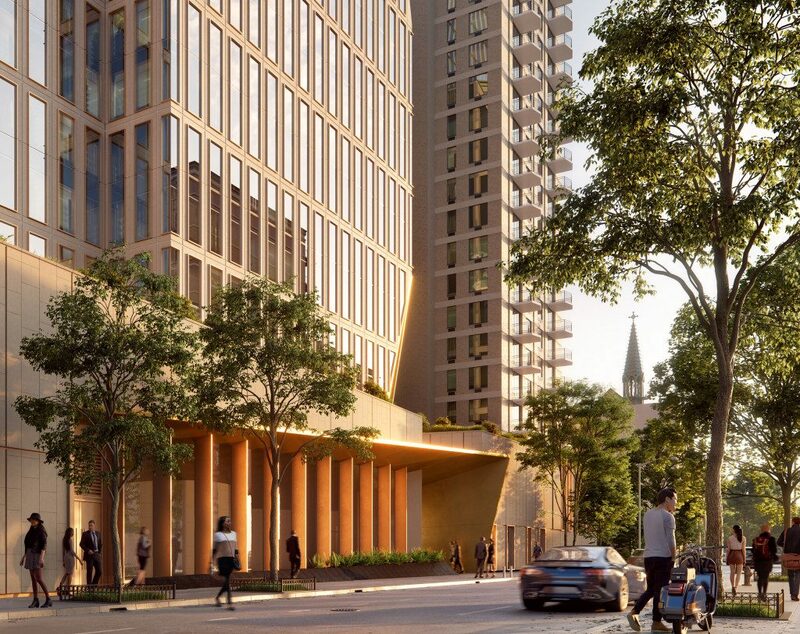 Coincidentally, 200 Amsterdam Avenue will also rise above a former synagogue. As real estate prices remain astronomical, several religious institutions in the neighborhood have sold air rights for new towers, including the American Bible Society’s former building at 1865 Broadway. In the case of 50 West 66th Street, the synagogue will be rebuilt into its base, providing an attractive new space for the congregation as well as new housing for the neighborhood. Above the 16th floor terrace, the design becomes more slender as it continues to rise into the sky. The opposing corners of the building are sliced away to create balconies with broad views of the city. This zipper of loggias runs the full length of the upper volume, visually connecting the body to its lustrous, sculpted crown. Angled facets evoke this chiseled vocabulary, revealing the same gleaming bronze found at the building’s base. 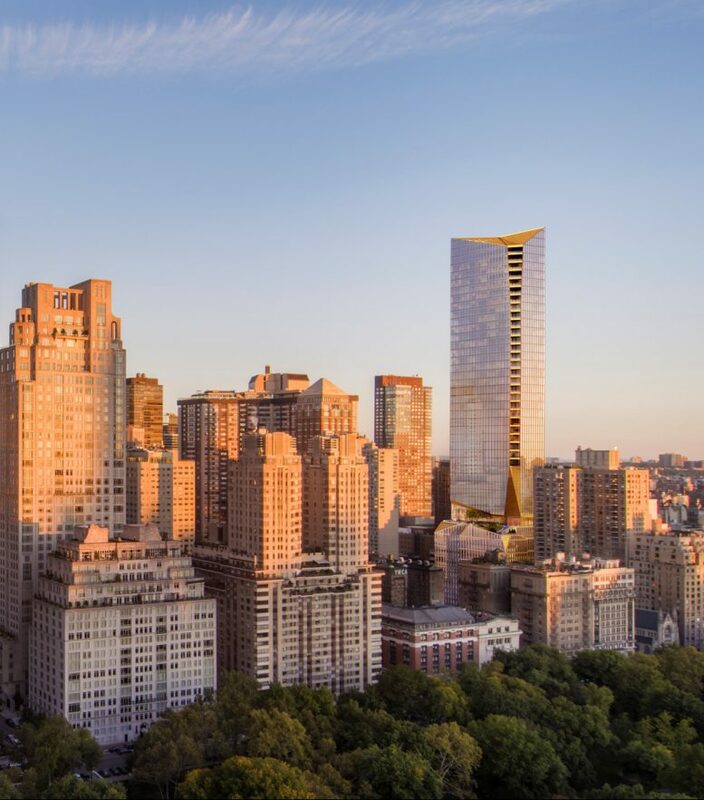 50 West 66th will glow as a warm lantern, a new friend in the New York City skyline. Amended permits have yet to be filed, so completion may still be a few years off. 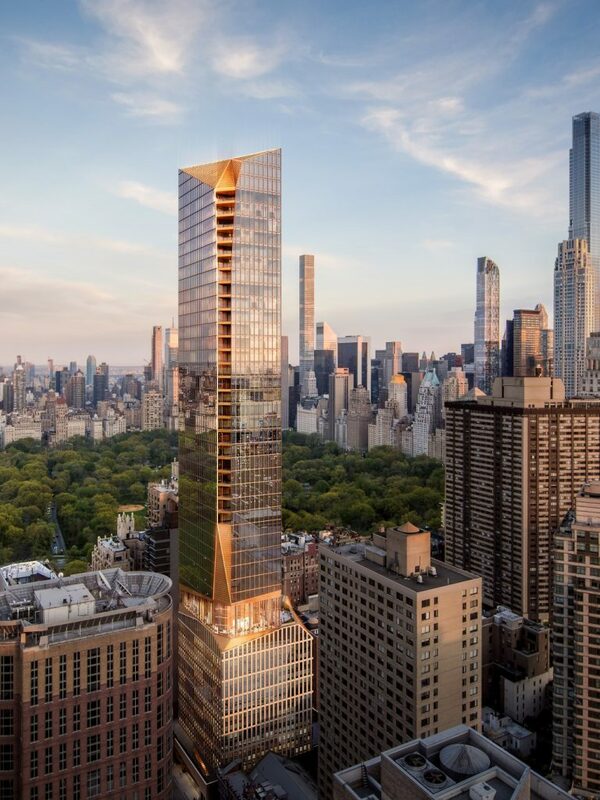 3 Comments on "Extell’s 50 West 66th Street Triples In Size, Will Become Tallest Tower on Upper West Side"
I can depend on your evidences with beauty into bronze. Every corner chamfered! Don’t leave any sharp edges! Hopefully nobody will notice this gold building! My brother is working there!! !